15 Cool and Unique Linux Desktop Workspaces (Workstations): I've seen plenty of excellent computer workspace or workstation setup lists on the web but I have never seen a collection of workspaces that is exclusively related to Linux. Because of this, I decided to gather several photos of some of the coolest and unique Linux desktop workstations so that I can share them to all of you. 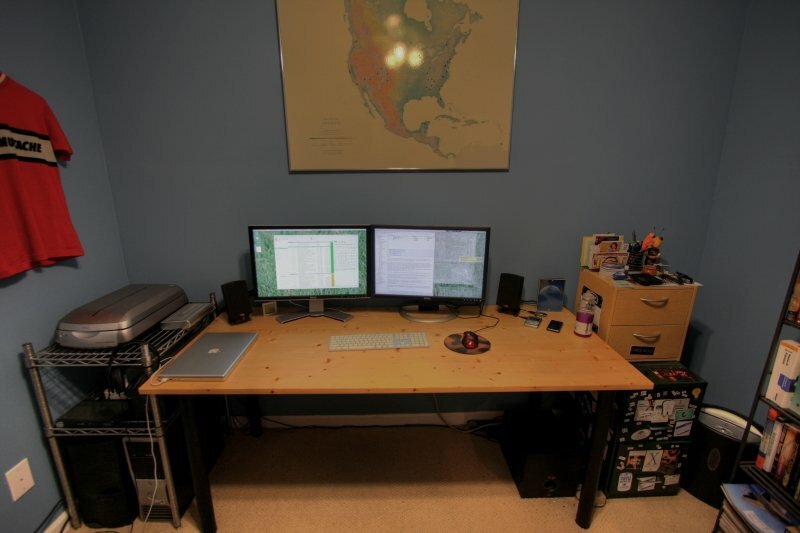 In addition to that, I will also be showing you my very own (simple) workstation, which you will see later on. 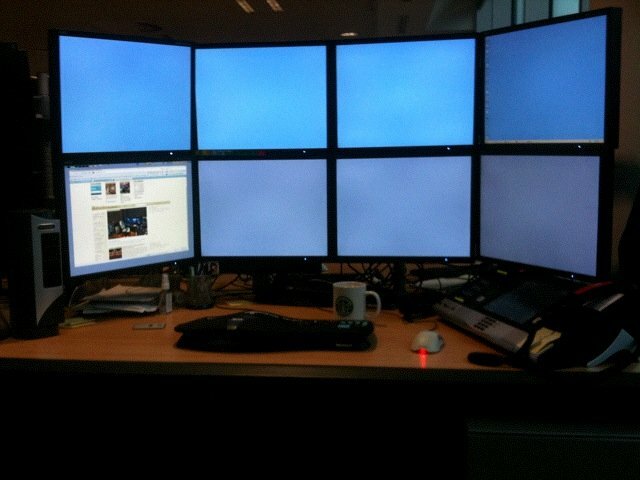 Notes from the owner: My desk at work, 8 screens, top 4 are Windows, bottom 4 are Linux (because that's where the real work gets down), Microsoft keyboard and Mouse, an Etrali Mach 3D dealerboard phone on the right, and a fan on the left to keep it all cool. Notes from the owner: New laptop stand. 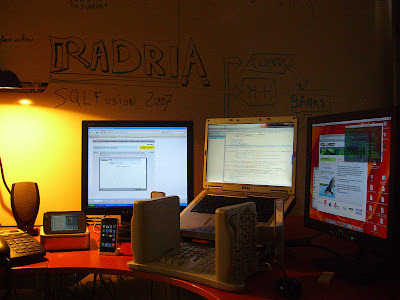 Voip phone, iphone, n800, mac mini, linux kubuntu, mac OS 10.4, vertical keyboard and rocket fish laptop stand. Note from the owner: I picked up an extra monitor, so i built a linux workstation at the end of my bed, also have it rigged with vnc so i can control my main computer from bed. 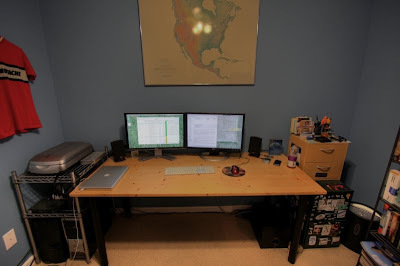 Notes from the owner: Here is the complete setup (though the mice need switching around). From left to right - Apple MacBook, MacBook external display, and 2 displays for my Linux Workstation. 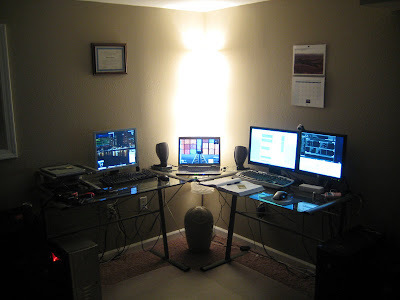 I can use a single mouse & keyboard between all 4 thanks to Synergy, though I still have the second set connected to my linux workstation just in case (and to actually start Synergy). Notes from the owner: Gentoo Linux on the Desktop with GNOME+Compiz, CentOS 5.2 on the backup server. 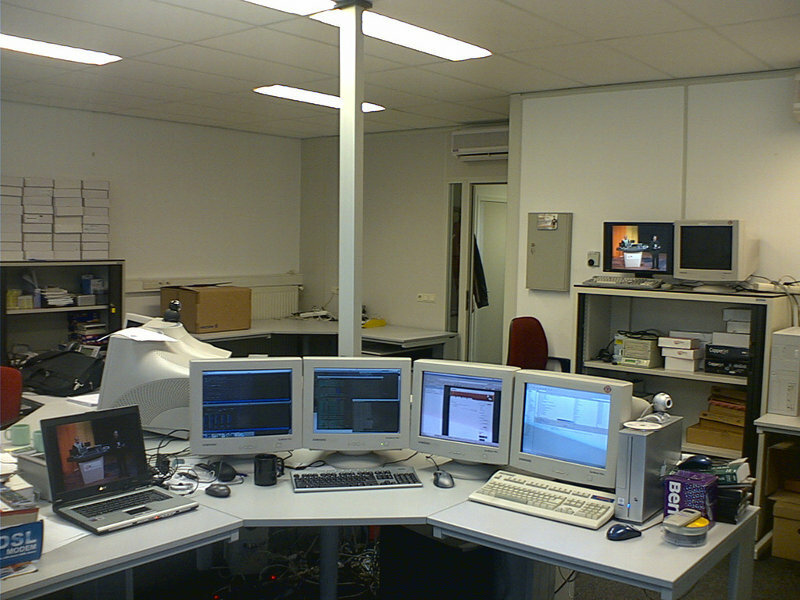 24" Dell monitors on a nVidia Quadro FX 3450. 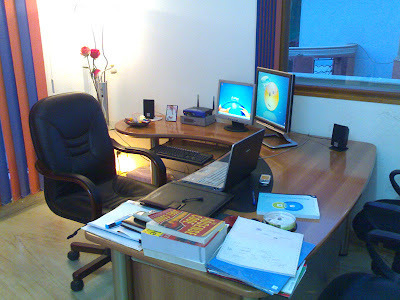 Note from the owner: Why do I need a Linux laptop, a dual-screen PC and linux PC? Because I can. 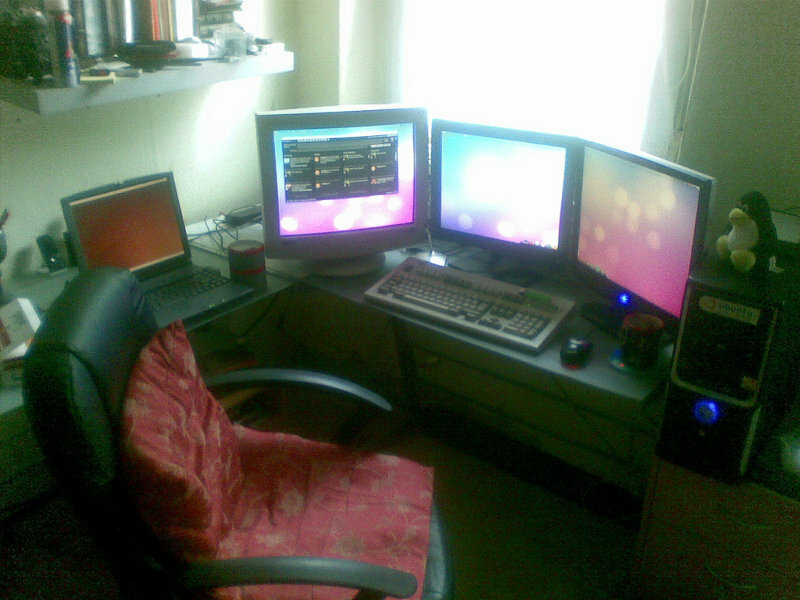 My Linux desktop workstation runs Ubuntu 10.04 “Lucid Lynx”. 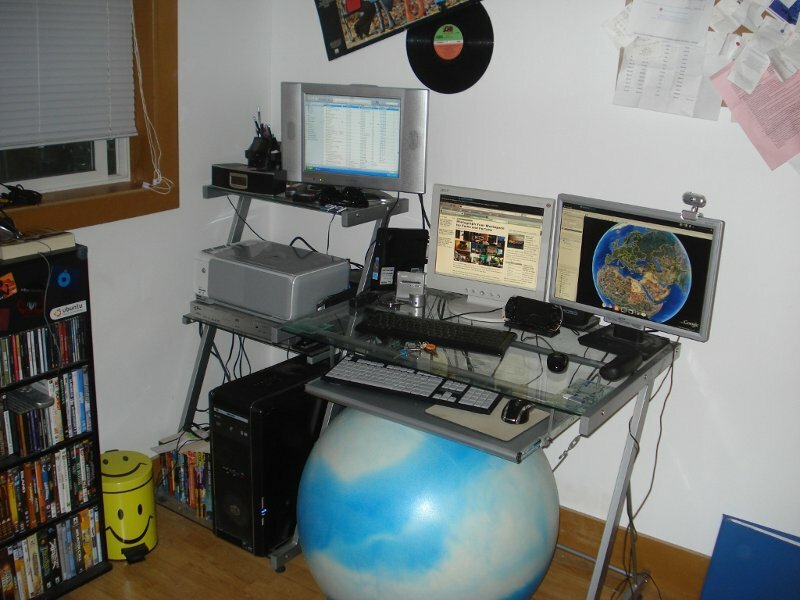 It is powered by Intel Pentium Core 2 Duo processor with 4GB of RAM. 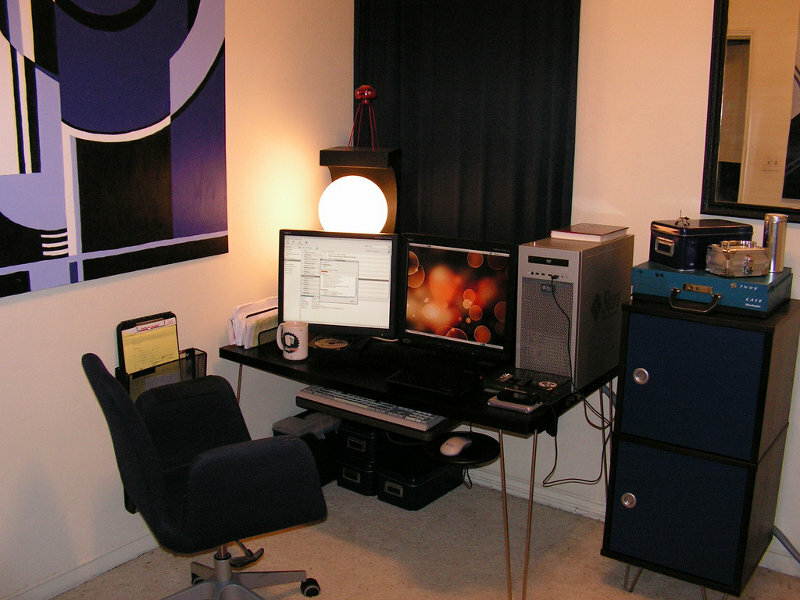 The bigger monitor is a Samsung SyncMaster T240HD HDTV/computer display. The other one is an old but trusty SyncMaster 740n on top of a wooden tea box :-) On my desktop you will also see a Macbook Pro with Xubuntu inside and a Linux-powered iPhone (just kidding). So there you have it. 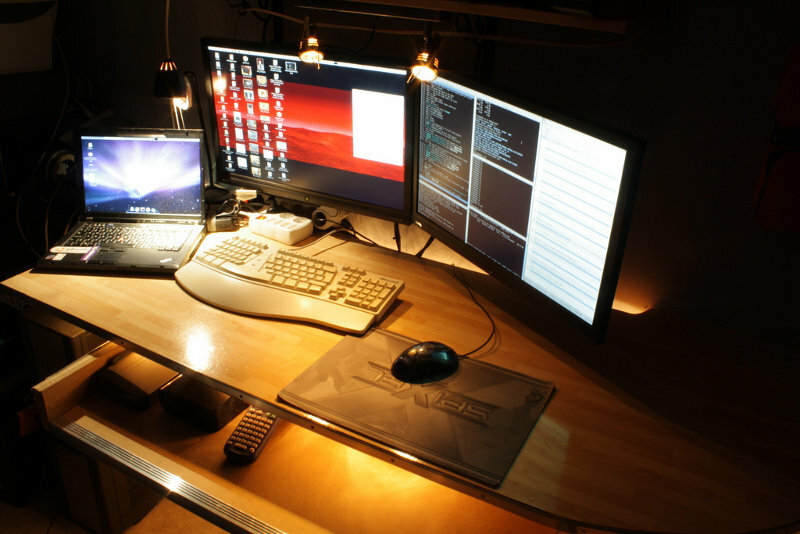 Do you also want your Linux desktop workspace or workstation to be featured here on Tech Source? If you want to just contact us, and attach some photos of your workspace together with a brief description. I'm thinking of featuring workspaces here on a weekly basis so I hope a lot of you will participate. 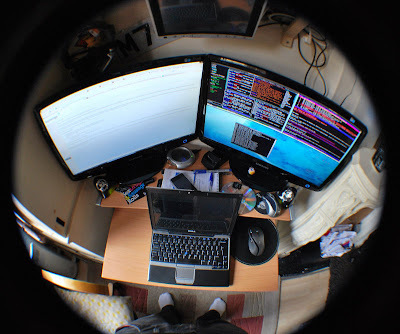 I'm also planning on having a little contest and whoever can submit the coolest and most unique Linux workspace will receive a price, which I will disclose later on. 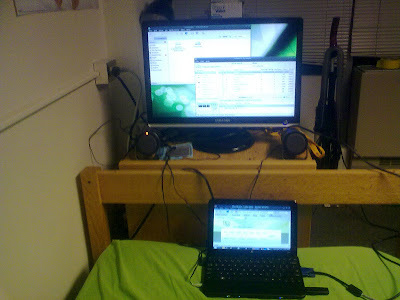 I like the Linux on bed :) Good for watching shows. :) Actually it may have a practical application as well for bed ridden folks. I never did the dual monitor thing, it was too much work. 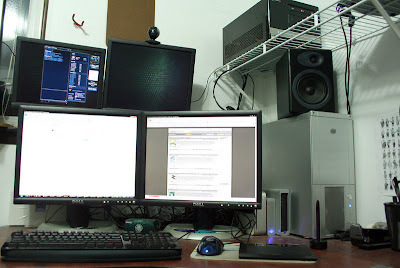 Eventually, I slimmed down to one monitor and one laptop. Extra computing power comes from X forwarding from headless stations and E16 is still my window manager of choice. With E16, it is easier for me to switch to another virtual screen than it is to turn my head. The laptop is good for bed time reading and work outside the house. Networking in the US is limiting and poor but I have sufficient access to my network wherever I go. Actually, to the commenter of 'Apple Macbook...FAIL', the hardware was running Linux if you read it carefully. 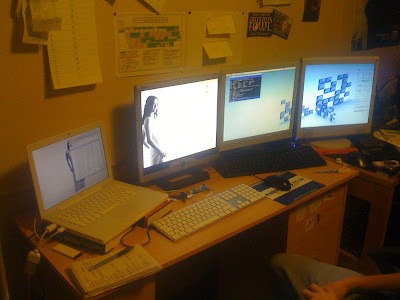 I also run Fedora on Apple Macbook Pro, and it IS a linux workstation. 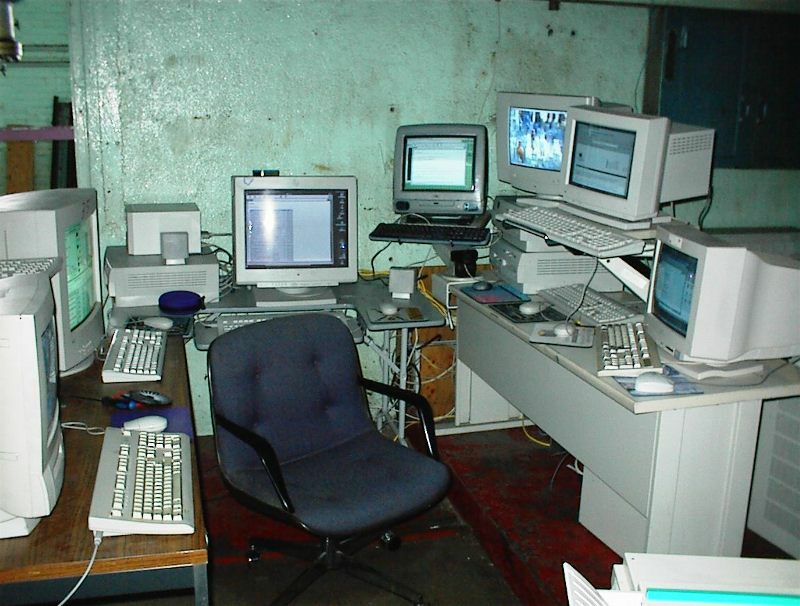 My co-worker and I have setups almost identical to darkseeds (except they are all Dell flat panels). Alec Brown, you have us all beat! Nice setup... for a small NOC (Network operations center) lol. I tried the dual monitor setup before. It was okay, but I gave up on it at some point. I wanted certain apps to start up in one particular monitor and I was never able to figure out how to do that.